What do Max Cooper, Hernan Cattaneo, John Tejada, Henry Saiz, Eelke Kleijn, Hybrid, Fairmont, Umek, Tigerskin, Gabriel Ananda, Microtrauma, Jesper Dahlback, Matador, Avus, Applescal, Guy J, Ryan Davis and Phonique all have in common? They have all released music on Paul Hazendonk’s Manual Music label, giving you a first impression of what this allround music lover is all about. Born in the suburbs of Rotterdam in the early eighties, Paul Hazendonk already developed an excessive interest for music at a young age. After seeing a documentary about one of the early editions of the Mystery Land festival he found his passion and bought his first DJ equipment at age twelve. After winning various local DJ contests in his teens, he secured his first club gigs by the time he turned eighteen and his first international gigs followed not long after. 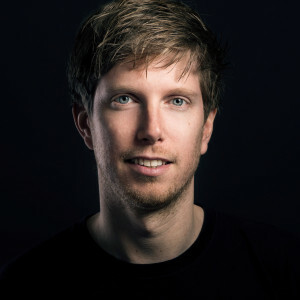 In his early twenties Paul was a resident DJ at infamous Dutch clubs Las Palmas (Rotterdam) and Asta (The Hague), whilst being a regular guest at clubs and festivals all over Europe. Throughout the years he has performed in more than 25 countries worldwide. In 2000 he started working at the legendary record store Basic Beat which was located in the heart of Rotterdam. This was also the place where he released his first mix compilation CD’s, started doing A&R for various labels and, eventually, where he started his Manual Music label in 2005. Paul left the Basic Beat company in 2009 and adapted the Manual brand name for his own company, simply calling it Manual Music. Having always been a DJ first and a producer second, it wasn’t until a couple of years into his career that Paul released his first records. By now he has released music on respectable labels such as Hope Recordings, Diynamic, Sudbeat, Kittball, Einmusika, BluFin, SOSO and naturally his own Manual Music amongst many others.. In 2014 he released his long awaited debut album ‘Adapt’ which again showed his versatility as a producer, working together with vocalists such as Sian Evans (Kosheen), Alice Rose, Patchy and spoken word wizzard The Lazarusman next to collaborations with Noraj Cue and Olaf Stuut. Although people like to genre-tag artists nowadays, it’s not easy to do the same with Paul Hazendonk. Throughout the years of his career he has crafted his own distinctive sound, blending elements of house- and techno music, often filled with warm basslines and melodies, but without losing sight on the dance floor.